"These dolls are all heart - and lungs, eyeballs and brains. David Foox, an artist based in Denver, Colorado, has created a collection of organ donor dolls." "While there is a strong ethical imperative to increase the supply of donor organs, many of the methods tried or proposed – presumed consent, allowing organs to be bought and sold, and using lower-grade organs such as those from donors with HIV – are themselves controversial..."
while it may make many people uncomfortable, we have been trying to use pigs for parts for nearly 200 years." published in Lustige Blatter. Berlin, c. 1910. The rabbit says “Now no phoney sentimentality! this human for the health of the entire animal world”. "Warning of difficulties comes after injection of human stem cells into pig embryos and fears that animals’ brains could be altered." "A shortage of organ donors has created a lucrative black market in China, a BBC investigation has found. The shortfall is a consequence of China ending the practice of harvesting the organs of executed prisoners." It all started when the high school student saw an online advert offering money to organ donors. Illegal agents organised a trip to the hospital and paid him $3,392 (£2,077) after the operation. In 2007, Chinese authorities banned organ trafficking and have introduced a voluntary donor scheme to try to combat the trade." 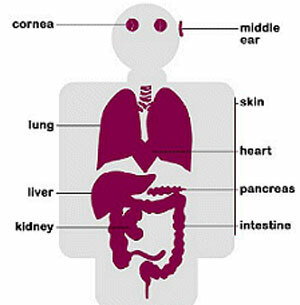 "A MACABRE traffic associated with poor countries in Asia and Latin America has sprung up for the first time in western Europe as the credit crunch reduces Spaniards to selling organs to “transplant tourists”..."
"Here you can find valuable information about organs available for transplant, how each of these organs work and common diseases of each." aimed at students aged between 11 and 16 (Key Stage 3 and 4)." "A surgeon and eight other people are on trial in central China over the case of a teenager who sold a kidney to buy an iPad and iPhone. The two-day hearing ended on Friday and judges will decide on possible guilty verdicts and sentencing soon." 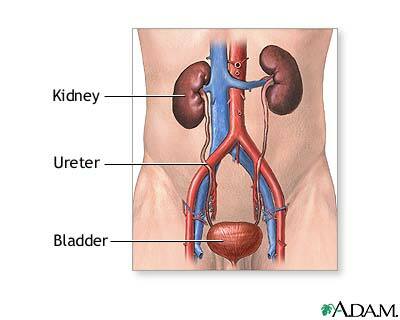 The kidney shape was a cool idea. "A Santa Fe district attorney and his wife take desperate measures to find a lung donor for their dying daughter in this topical thriller starring Dermot Mulroney and Diane Kruger." "A frantic search leads the couple to a doctor in Mexico, who after promising a cure, is revealed to have connections runing deep into a criminal underworld where his patients aren't donors - they're victims." "is a 2010 British dystopian drama film based on Kazuo Ishiguro's 2005 novel of the same name. Never Let Me Go centers on Kathy, Ruth, and Tommy, played respectively by Mulligan, Knightley, and Garfield, who become entangled in a love triangle and are scientific specimens, created in a laboratory and raised in order to provide their organs to severely ill patients. " I have your heart, it beats inside, it's only three inches wide..."
he rejected a heart tranplant. would make him no longer human. who suffocated non- compliant patients with pillows.